Manufactured by JAK Water Systems, three FlowTab II systems have been installed at Centre Parcs Whinfell Forest. JAK Water Systems has added a high profile project to its growing portfolio of FlowTab II installations, after completing a triple installation at Centre Parcs Whinfell Forest site. 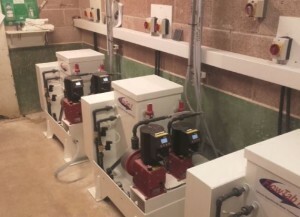 Last summer the Lincolnshire-based company was approached to provide a chemical dosing system for the Subtropical Swimming Paradise at the Cumbrian holiday village. JAK worked alongside H20 Servicing to install and commission the systems at the Centre Parcs site.